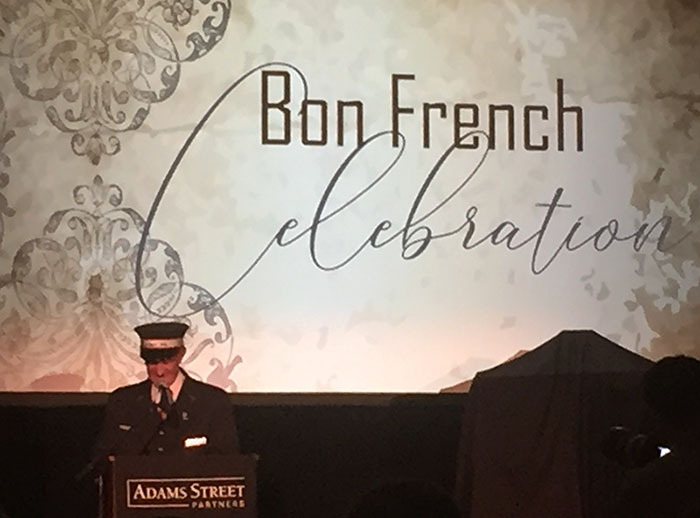 Bon French is Celebrated by Adams Street Partners at the Chicago Union Depot Outside the Burlington Room at Chicago Union Depot Conductor J.J.Keigley Welcomes Guests to a Celebration of Bon French who is a member of the Three Lakes Model Railroad Club. J.J. Called the guests to order before introducing Gary Fencik, the master of ceremonies. This was a celebration of the "semi-Retirement " of Bon from the company he founded. Bill and I were glad be there to honor Bon and look forward to having him at more club events in his "semi-retirement". J.J.Keigley has 50.5 years with the railroad and has been Bon's conductor on the UP West Line #22 for 38 years. 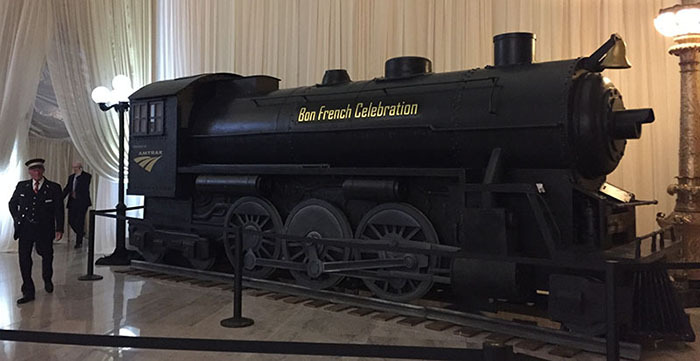 It was a total suprise for Bon to have his conductor at his retirement party.